So two weeks ago I turned 24, and having been single for my past 5 birthdays I asked the boyfriend to organise something (anything) just so I didn't have to organise my own birthday yet again. After teasing me for weeks that he'd done nothing, my birthday finally arrived! I had my favourite breakfast made for me expertly by Rich, smoked salmon and scrambled eggs on toasted english muffins. Then I started opening my presents which were wrapped individually, then placed inside two large boxes which he'd also wrapped. So it was like a game of pass the parcel but just for me, and with the most amazing presents, no penny sweets for me! I wish i'd taken more photos of things, but I was just too darn excited. After present opening I was told to pack a rucksack to spend the night overnight and we'd be getting a train shortly. Exciting! Rucksack packed we headed to the train station and as soon as I heard we were going to Watford, I knew immediatley where we were going. Harry Potter Studios!! I have been the biggest Harry Potter fan ever since my Aunty bought me the first book just after it came out, and I loved the films as well, even though I rant about the differences between them and the books! 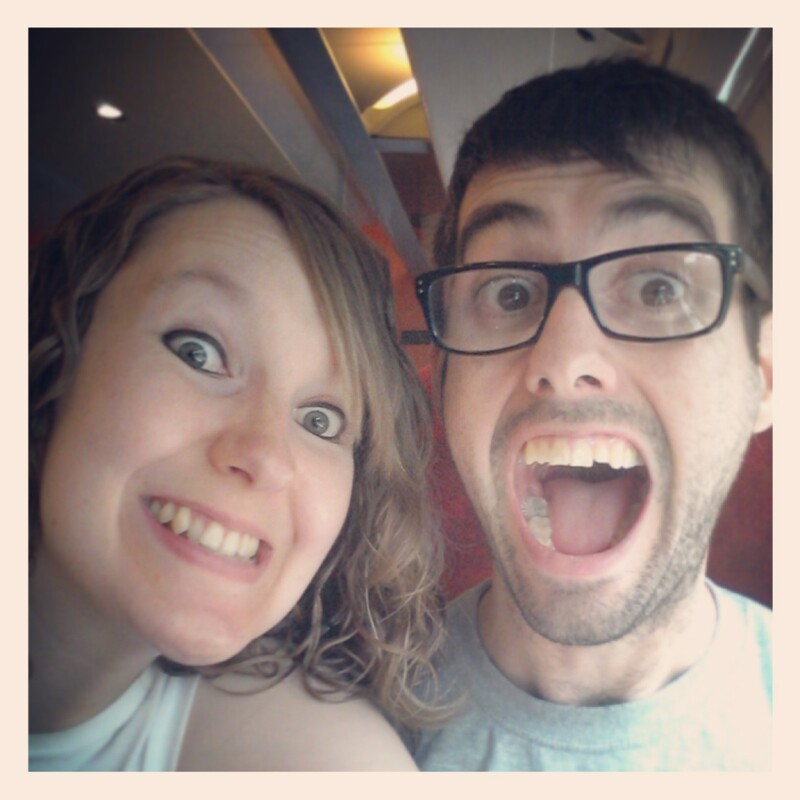 Super excited Harry Potter train faces! I'm not going to say too much about the day because I don't want to spoil it for anyone who wants to visit, but you HAVE to visit! It was one of the best days ever, not least because I got to be a complete Potter geek and see behind the scenes, and open the doors to the Great Hall because it was my birthday, and become the proud new owner of a Hermione wand! Trying Butterbeer was interesting. Imagine Gatorade with a dollop of cream on the top... Yeah. My top tip is to just buy the one glass to share with everyone you go with, as it's a bit expensive, especially if you throw most of it away like we did because it was just so weird! After a very satisfying day of Pottery goodness, and spending a lot of time wandering around the gift shop deliberating what to buy, we headed to London for the night, where Rich had booked us into a lovely hotel on the South Bank. No pictures of the hotel i'm afraid, but of course there are pictures of the food we ate! For tea I looked on Rosie's blog (http://www.thelondoner.me) for recommendations and finally settled on Byron's burgers (http://www.byronhamburgers.com) as Rich loves a good burger, as do I, and it wasn't located too far from the hotel, as my feet were knackered from walking around all day! Our amazing spread included burgers (duh) with added avocado on mine. If you take only one thing ever from my blog, make it putting avocado on burgers. It was stunning. 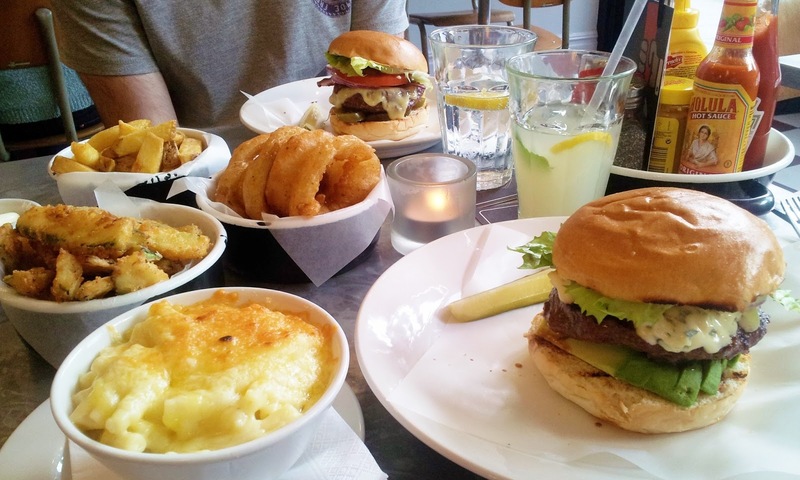 We also had mac and cheese, onion rings - Rich is a huge onion ring fan, the best that we've ever had is Alton Towers Hotel restaurant - chips, and courgette fries. The courgette fries were delicious, the perfect mix of firm vegetable, with the fried goodness, and went perfectly with the juicy medium cooked burger. As a drink I ordered the fresh lemonade, which was some of the best homemade style lemonade i've ever tasted. 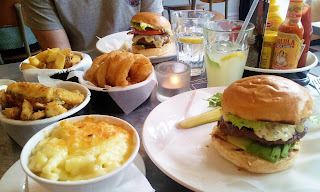 This has to be the best birthday meal i've ever had, and i'm already counting down the days until I can go to visit again and gorge on the most beautiful burgers in the world. We wandered along South Bank for a while after we'd eaten as it was a lovely evening and neither of us wanted the day to end. Once we were back in the hotel we both fell asleep very quickly as we were worn out! In the morning we headed to Covent Garden for breakfast and after wandering around for a while nosing at menus we settled on a place of which the name completely escapes me! Bad blogger! But I still have to share with you the picture I took of my epic breakfast, which far surpassed my expectations. 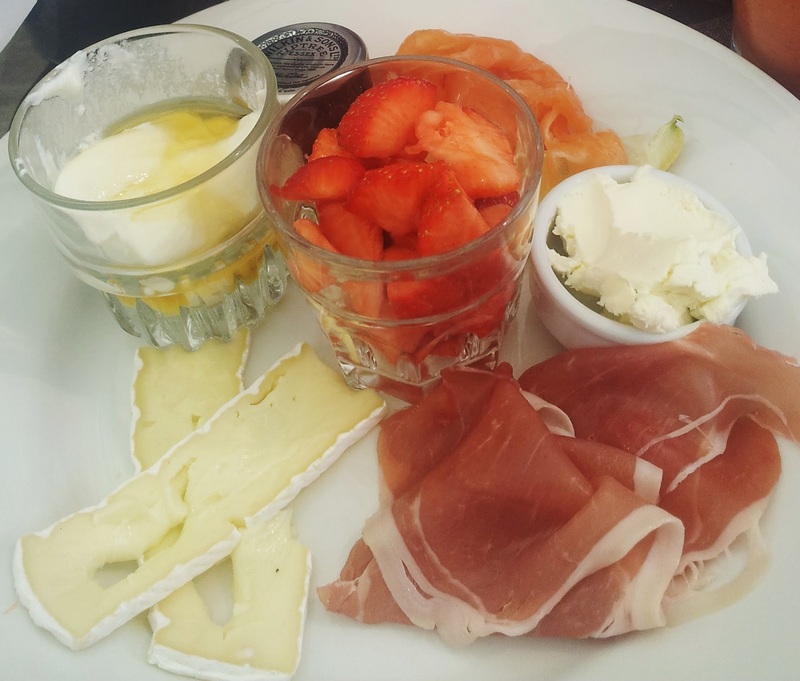 I wanted something a little different to the usual English breakfast fare, so I went for the breakfast platter, which included brie, parma ham, smoked salmon, cream cheese, strawberries, greek yoghurt with honey, and butter and jam. This was served with a bucket of bread, including a croissant, warm sourdough bread and warm white bread. What a feast eh! Now, both me and Rich don't like greek yoghurt with honey as a rule, but we tried this and I have no idea what types of greek yoghurt and honey they were but they were lovely! The whole plate was wolfed down between the two of us (and Rich had a full English, but shh!) and was most enjoyable. We spent the rest of the day wandering around London, and meeting up with an old school friend of Rich's before heading back to the Midlands very happy and very tired, ready for part two of birthday shenanigans, to be talked about in another post! 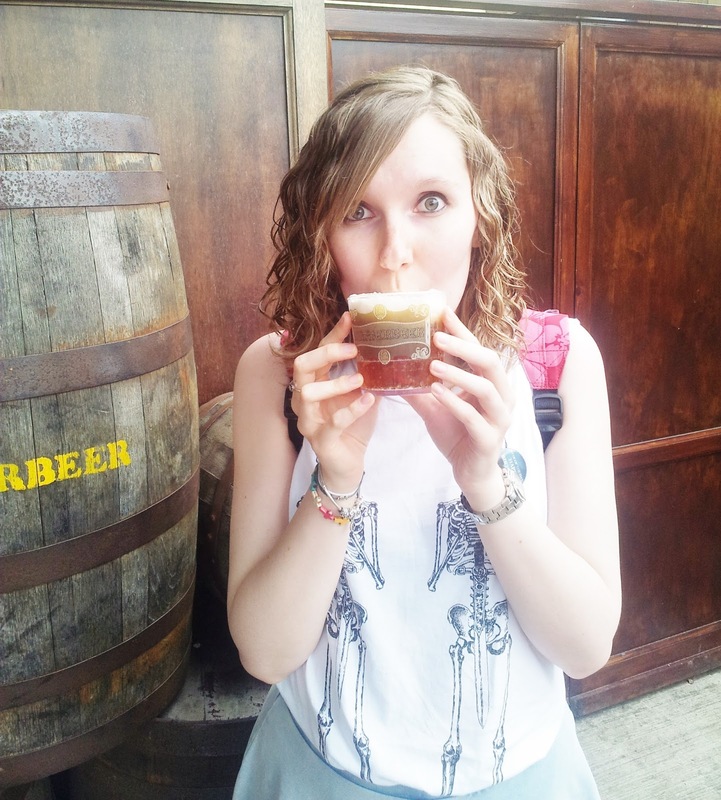 Have you ever been to Harry Potter Studios? Would you like to go? And do you know what the place was called where I ate breakfast?! 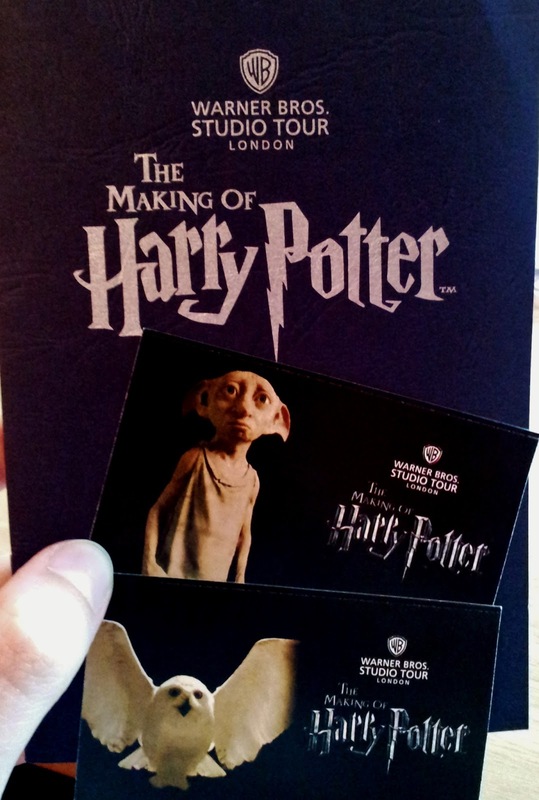 I really want to go and see HP! No idea where you ate breakie but What I can say is I looooooove english muffins and scrambled egg! + courgette fries are almost as good as sweet pot fries! Next time your in London try 'The Drift' I found that via Rosie and it was excellent. Happy belated birthday - your a cute couple!